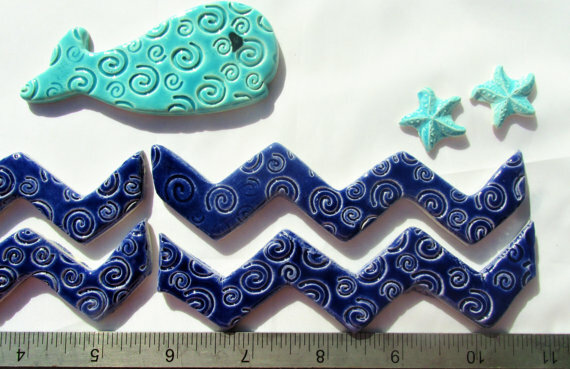 Set of 6 glossy turquoise waves tiles or 4 cobalt blue waves and 1 baby blue whale. A beautiful set of carribbean blue whale & waves with cobalt blue starfish tiles, or a set of 6 glossy turquoise waves tiles. Please refer to picture with ruller as a guide for the size.